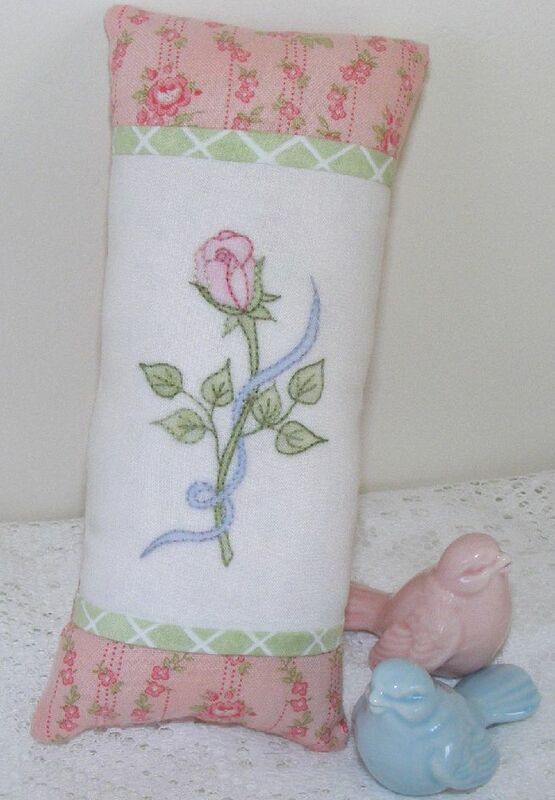 This page contains all the Petals & Patches pincushions patterns available for purchase. All items can be purchased via our secure shopping cart, or alternatively you can print and mail your order to us. 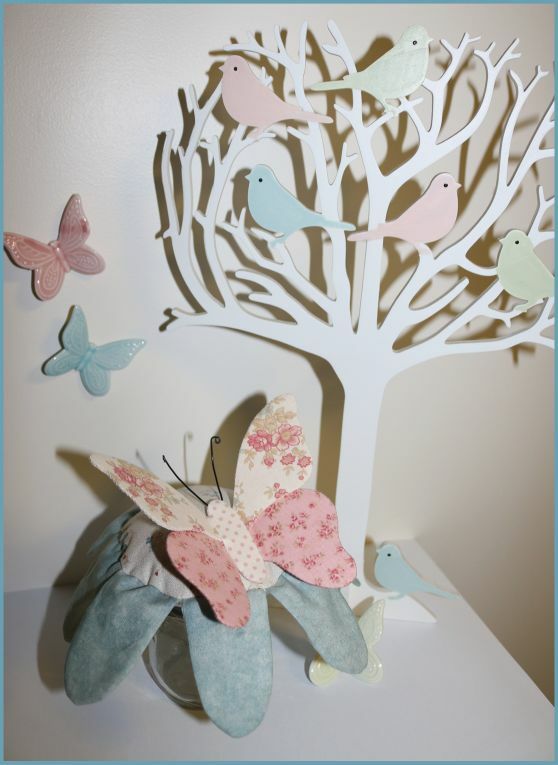 We ship your order via surface mail within Australia or airmail outside Australia. 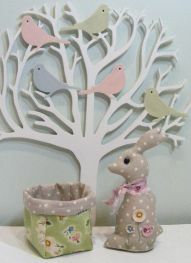 Our Facebook will give you a more up to date view of what we are currently doing and our plans for the future. 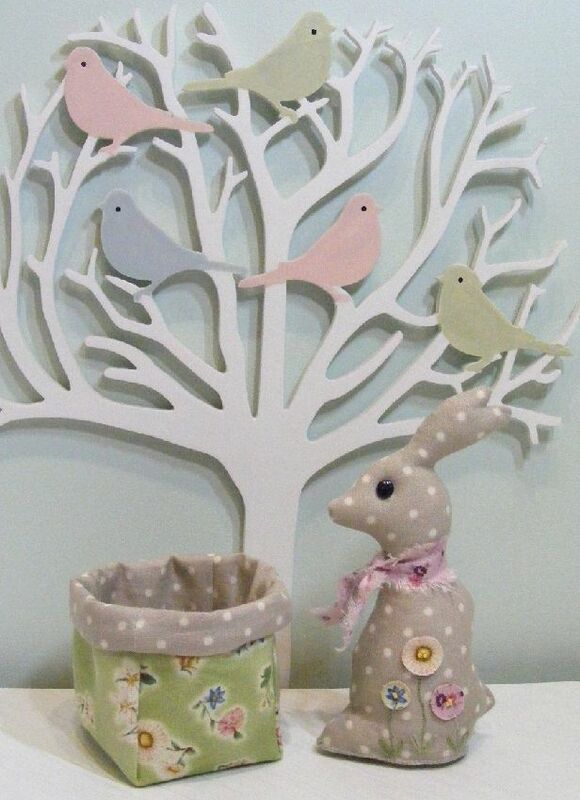 Our latest catalogue is available. Just remember how nice it is to sit in a garden. 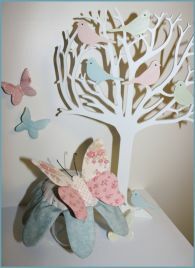 This butterfly will remind you of times spent outdoors and bring the outdoors indoors. 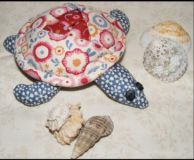 A reminder of the many marvellous creature that inhabit our oceans. 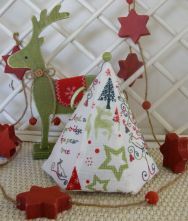 Size : 6" Diameter & 7" Height (15cm x 18cm). This is the one snail you would love to have in your garden. 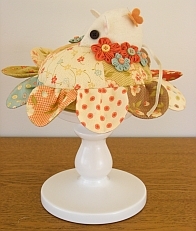 This very cute pincushion will have all your friends admiring his looks. 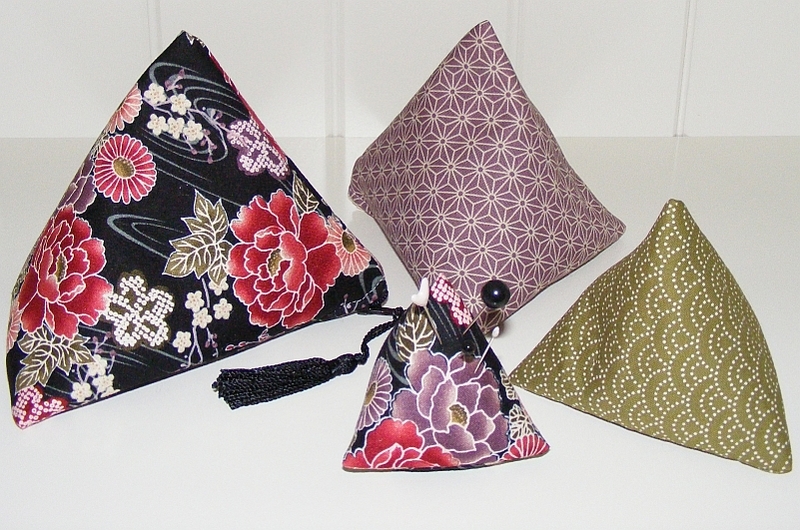 These quick little pouches nest away for easy storage and make a great little gift! 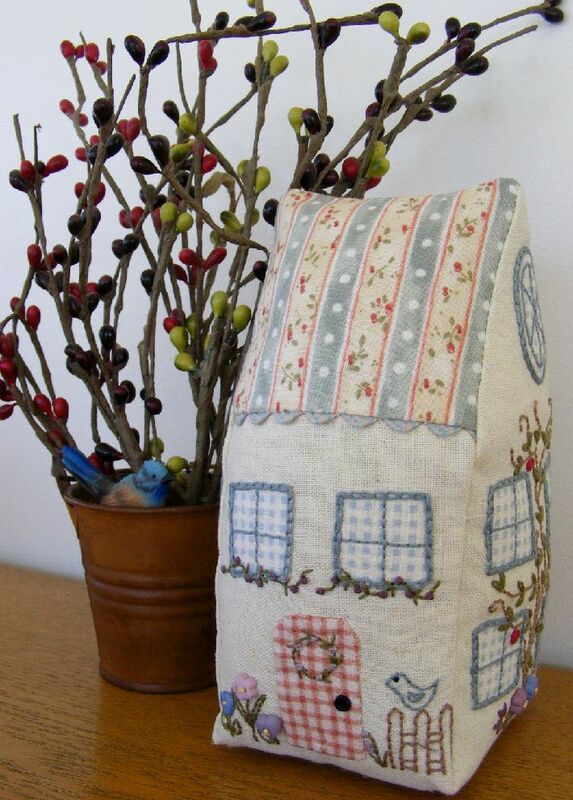 Handy to store all your sewing accessories!. 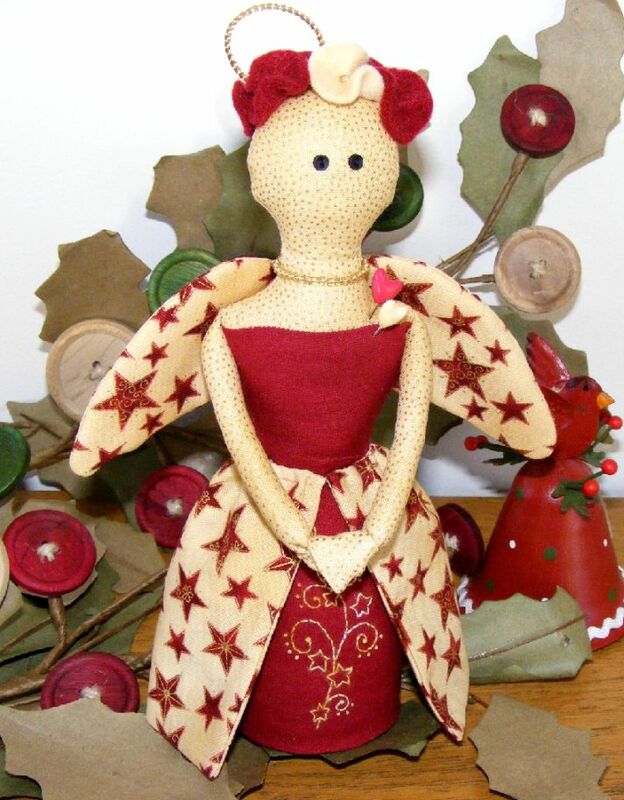 A Christmas angel to look after your sewing room. Some mystique in your life is always good. 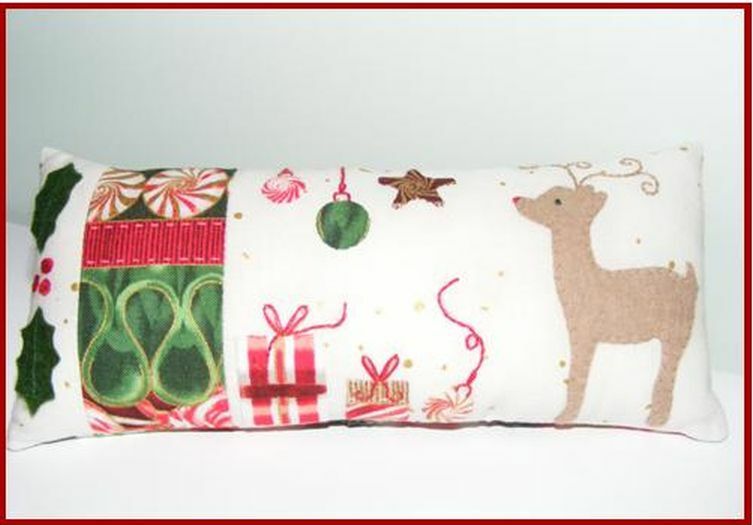 A nice lttle Christmas gift for that special sewer in your life. Another entry into Petals & Patches' popular Matryoshka range. 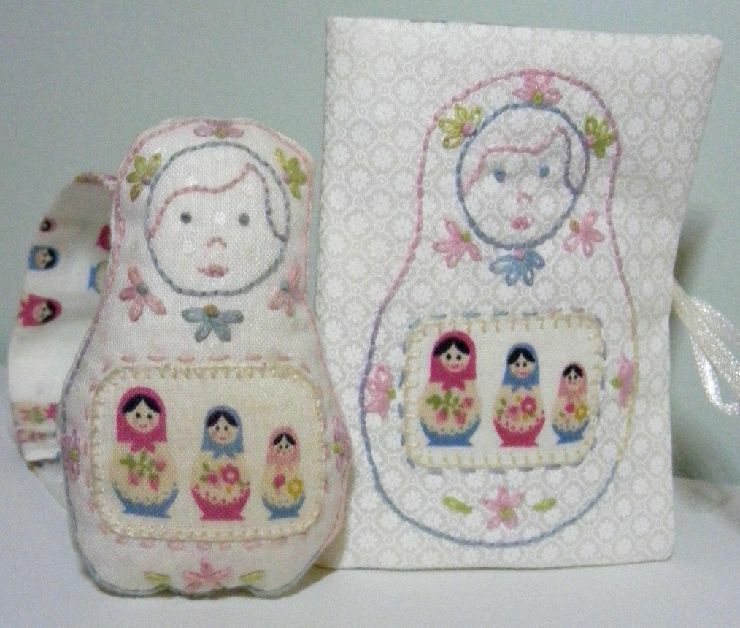 Add a little sweetness to your sewing room with these little maidens. 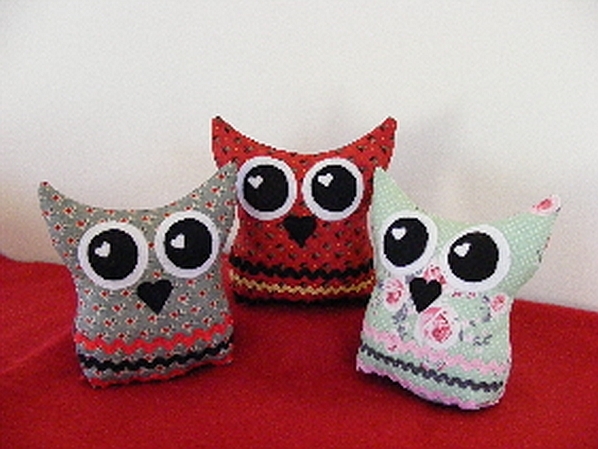 They would make a great gift idea for a sewing friend! 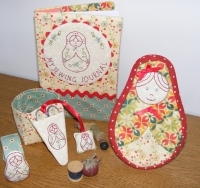 Make unusual additions to the Matroshka range. These little pincushion maidens are the perfect accompaniment to the armchair sewing caddy, neddlecase & scissor charm. 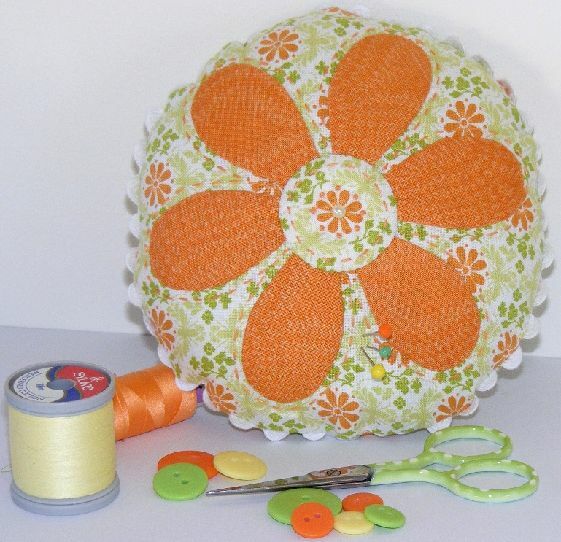 Every time you put a pin in or out of these cushions you wiil think food! An extremely cute pin cushion that would look slendid in a child's room. 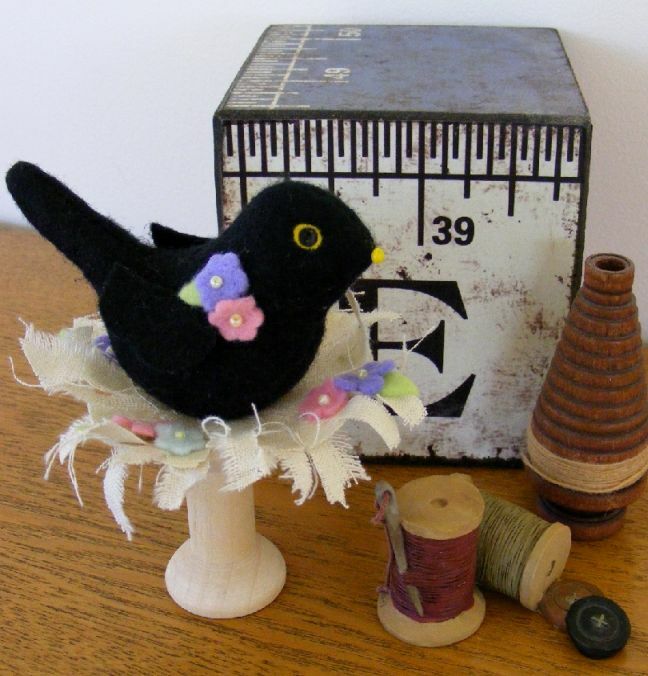 The very cute blackbird will have you humming 'four & blackbirds' all the time. 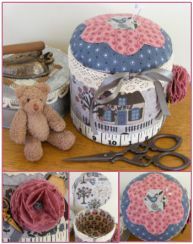 The mini sewing box is cute will provide a different pincushin to the norm. This little house will provide a different pincushin to the norm. 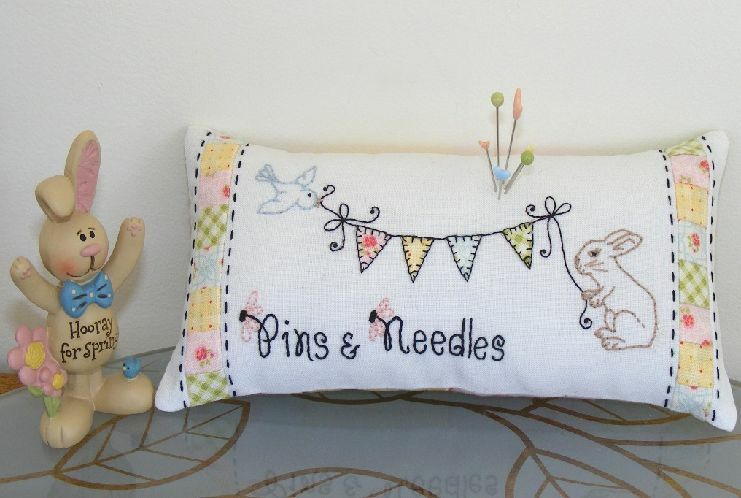 This unique pincushion will inspire you while you store youe needles within. 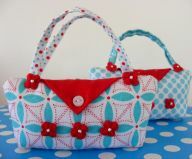 Such a pretty little purse for your pins to rest within. 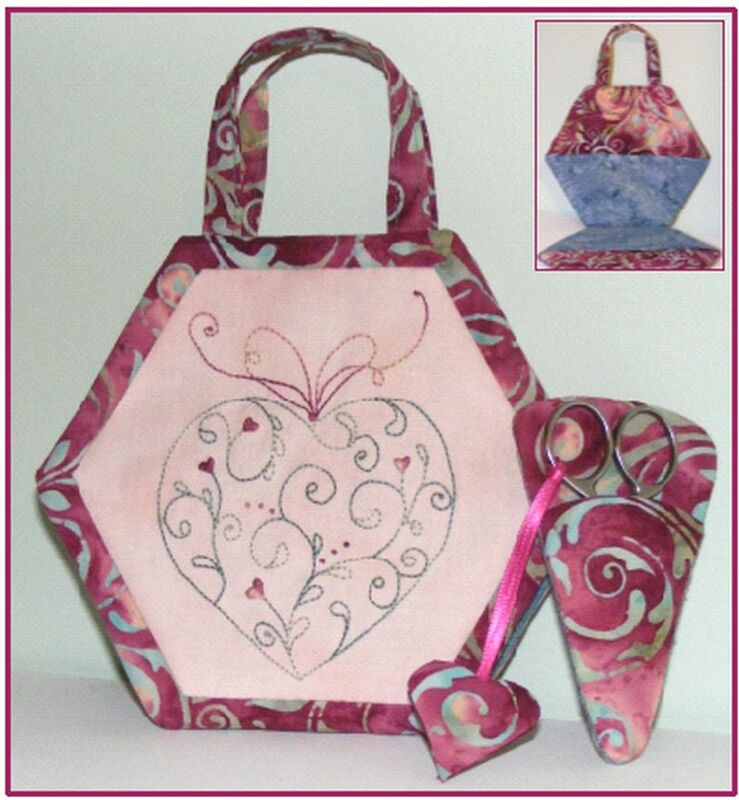 "Batik Heart Sewing Pocket & Scissor Holder"
A little of Indonesian for a touch of class. 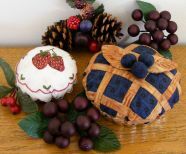 "Cherry Sweet Pincushion & Thread Bin"
Cherries are lovely in & of season and this pincushion will reming how much you love them. 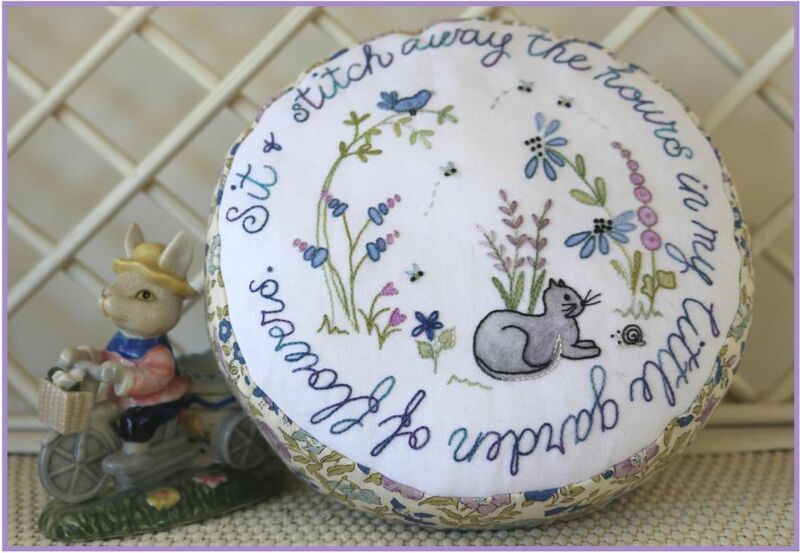 "Miss Brambles Pincushion & Thread Bin"
The rabbit pin cushion provides an unusual accompanment to your sewing kit. 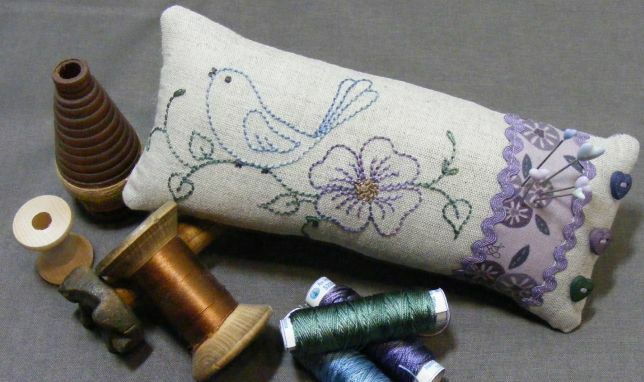 And you now have somewhere to put those threads ends - in your thread bin! Size : 7" x 4" (17¾cm x 10¼cm). The symbol of Paris, the City of Love, will add an elegant flair to your sewing environment. 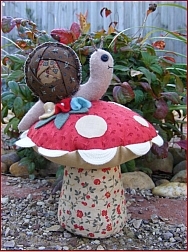 Or it would make a lovely gift for that special sewer. "Water Colour Rose Pincushion & Scissors Pocket"
Size : 3" x 7" (7½cm x 17¾cm). A very cute pin cushion and scissor pocket combination. 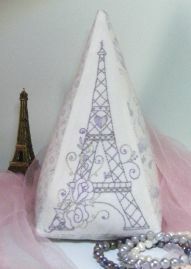 Size : Depends upon the item in the set. 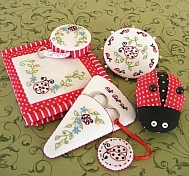 This very cute set is the ideal way to have all your tools for sewing in a single matching set. 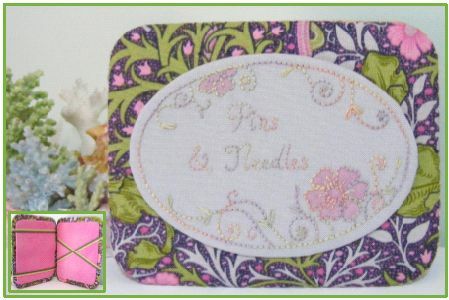 Size : 4" x 4" (10cm x 10cm). 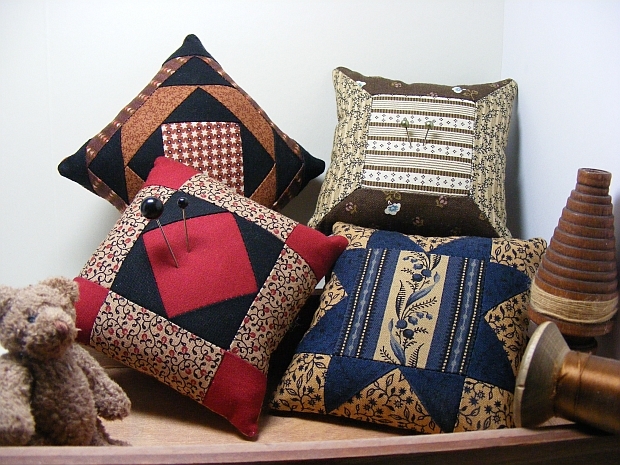 Four Pincushions : Amish Diamond, Spool, Sawtooth Star & Amish Pineapple. Based upon Amish design techniques these pin cushions will make a most unusual addition to your collection. 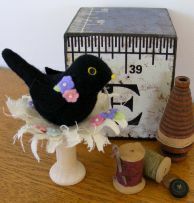 Size : 5½" diameter (14cm). The large bright orange petals highlight nicely the small orange petals and the green leaves. sure to appeal to all the botanists you know and especially those who love the Asteroideae. 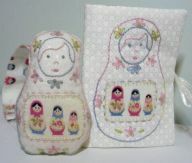 Size : 7" x 3" (17¾cm x 7¾cm). 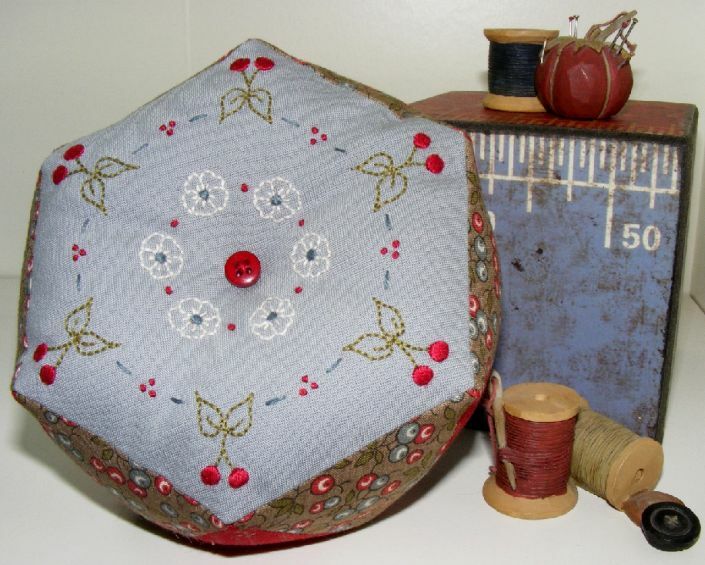 This petite yet lovely pincushion will catch the eye of those who adore quality. 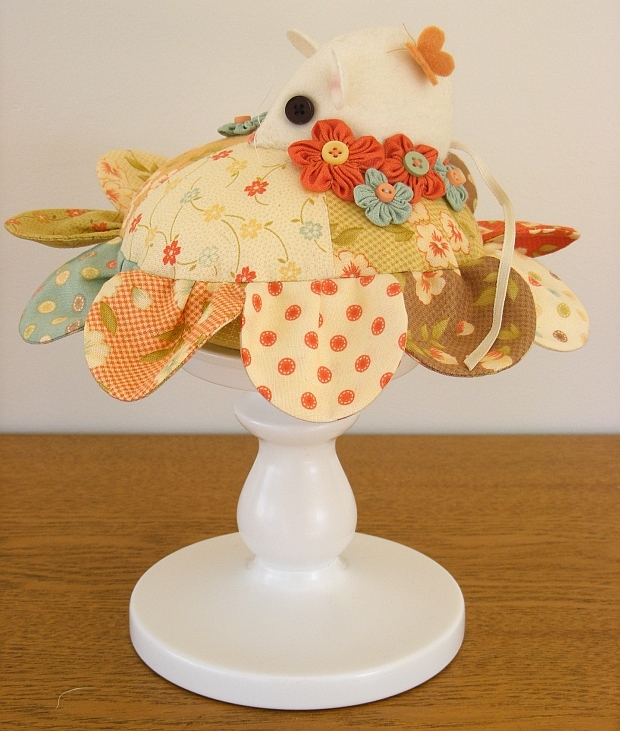 Buy the Little Bluebird - Breakfast cushion & Table topper for the complete set. 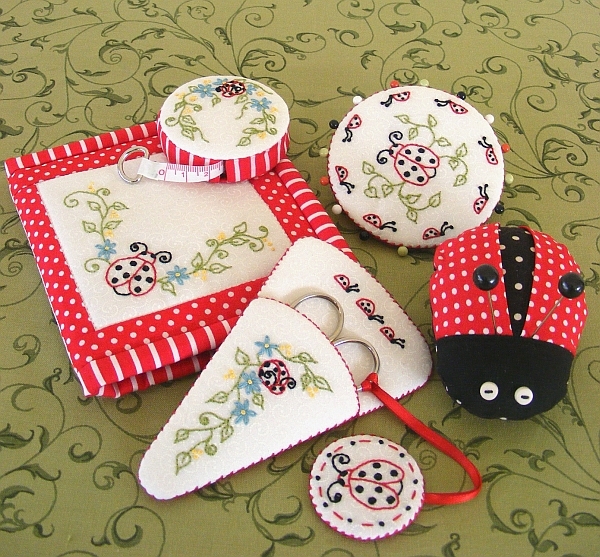 Size : 4½" x 5½" (11½cm x 17¾cm).